This post is sponsored by JCPenney. I only work with brands I love, so thank you for helping me to support them. October, as many of you know, is Breast Cancer Awareness Month. This is a special month in my heart as I’ve had both an aunt and my grandmother affected by this dreadful disease. My grandmother was a strong warrior of a woman and beat it! She also had 11 kids, so you can imagine her will of steel. I love the campaign this year at JCPenney as it’s all about supporting and celebrating the strong women who have or had Breast Cancer. 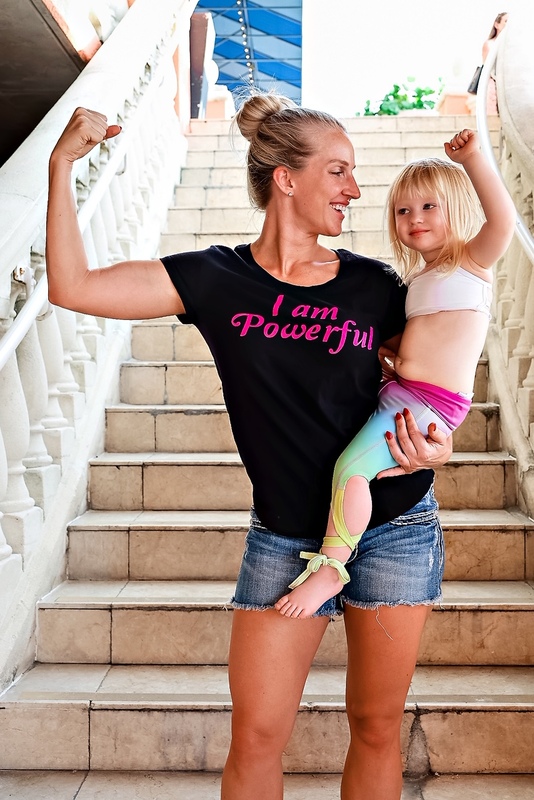 This shirt, I am Powerful, is how I want any and every woman to feel fighting this terrible cancer. There are three shirts with powerful messages like this one, and $2 from each tee will be contributed to the American Cancer Society. 20 % of all Salon retail sales on October 20-21 will be donated to ACS up to $50,000. On top of that, salon stylists across the country will be visiting American Cancer Society Hope Lodges to perform beauty services for those undergoing treatment. Go to Sephora inside JCPenney and find your Perfect Pink Lip service and then if you feel compelled to give, swing by the Salon as they will be accepting monetary donations all month long! Loving this donate to breast cancer research feature? Take a look here for more of my fashion favorites! Even without the added benefit of the ACS donation, I really love that shirt! My great-grandmother had breast cancer, so I never got to meet her. I’m glad your grandmother had the strength to fight, but with 11 kids, I can imagine she has a lot to fight for! This is such an important cause. I’m so happy to hear that your grandmother was able to beat it and is a surviver and warrior. Thanks for spreading awareness. 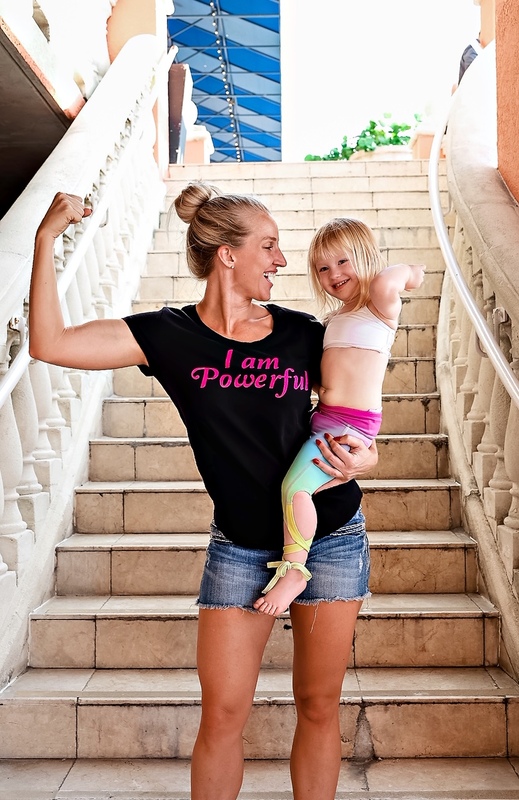 It’s amazing to support such an important cause and look fantastic while you are at it. Your grandmother was a warrior indeed! Supporting breast cancer is dear to my heart. Saturday, I will do the breast cancer walk. 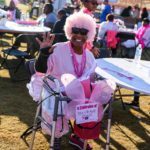 This is such a great cause to support… I have done runs for breast cancer in the past and they were so well supported. How and where we spend our money says a lot about who we are and what we support. This is a great shirt and a great cause. I love the support behind breast cancer awareness initiative. Its great to support a cause that you believe in. What a great Tshirt, and what an impressive initiative that JCPenney has to raise money for breast cancer research! One of my grandmas died at 50 from breast cancer, so this cause is very near to my heart. such a great cause to support! and i must say your baby girl is so cute!! What an awesome shirt! If I lived in the US I’d definitely pick one up and help donate to breast cancer research. Here in the UK lots of brands release limited edition products with some of the proceeds going to charity. I usually pick up one or two but I haven’t this year. So thank you for the important reminder!